Does your brand walk its CSR talk? Africa's new generation of leaders could learn a thing or two about how to become great, but it takes much more to become an extraordinary leader like former South African president Nelson Mandela. Humility, integrity, purpose, love and devotion to the people of Africa is what set Mandela apart from others across the globe. This humble giant, who became a Nobel Peace Prize laureate, always used integrity and conviction in decisions he made, and he always put the people first. With his infectious smile, he mesmerised all those around him to do good for humanity. Mandela spent 27 years in prison, and gave 67 years of his life towards the betterment of Africa. On 18 July, we celebrate Mandela’s birthday by giving 67 minutes of our time to those who need it most. But what Africa is in urgent need of are leaders, like Mandela, who will act with purpose and virtue in every part of their leadership. Mandela often spoke publicly about how Africa could be great, and his main advice to new leaders was to help others. Based on his vision and values, individuals around the globe were motivated to do good. One of those people was renowned musician Bono. When he met Mandela, he was swept off his feet. So inspired was Bono that he co-founded a charity to roll back the scourge of poverty and preventable diseases, particularly HIV/AID, working for Africa, called the ONE campaign. “He [Mandela] has been a forceful presence in my life going back to 1979, when U2 made its first anti-apartheid effort. And he’s been a big part of the Irish consciousness even longer than that,” Bono said in an extract, published on Time magazine in 2013, the year Mandela died. “Over the years we became friends. I, like everyone else, was mesmerised by his deft manoeuvring as leader of South Africa. His cabinet appointments of Trevor Manuel and Kadar Asmal were intuitive and ballsy. His partnership with Soweto neighbour Desmond Tutu brought me untold joy. This double act — and before long a triple act that included Mandela’s wife, the bold and beautiful Graca Machel — took the success of the anti-apartheid fight in South Africa and widened the scope to include the battle against AIDS and the broader reach for dignity by the poorest peoples on the planet,” said Bono. Through Mandela’s leadership, millions of people were able to access medication for HIV/Aids and child deaths decreased by 2.7-million a year. “Mandela lived a life without sanctimony. You try it; it’s not easy. His lack of piety helped him turn former foes into friends,” said Bono. Bono’s ONE campaign has since then evolved considerably with more than 9-million people around the world taking action to end extreme poverty and preventable diseases in Africa. ONE believes the fight against poverty is not about charity, but about justice and equality. It has been persistent in its efforts to do more to fight AIDS and other treatable diseases in the poorest places on the planet. These 9-million members are from all walks of life across the globe. They are artists and activists, religious and business leaders, students and scientists. They take action day in and day out, organising, mobilising, educating and advocating their call for the poor to not just survive, but thrive. The campaign now has offices around the world. According to the United Nations programme on AIDS (UNAIDS), there were an estimated 36.7-million people worldwide living with HIV/AIDS at the end of 2016. Of these, 2.1-million were children. In that same year, some 1.8-million people around the world became newly infected with HIV – about 5,000 new infections per day. 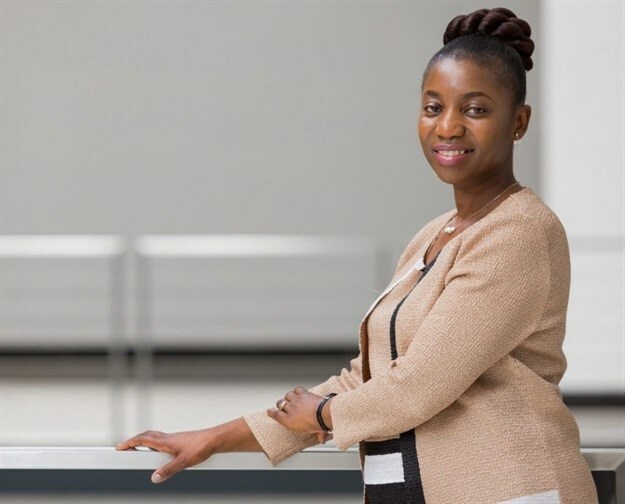 This included 160,000 children, most of them from sub-Saharan Africa who were infected by their HIV-positive mothers during pregnancy, childbirth or breastfeeding. At the time, UNAIDS said that only 60% of people with HIV knew their status. By July last year, 20.9-million people living with HIV were accessing antiretrovirals (ARVs) globally. Since the start of the epidemic, UNAIDS reported that 35-million people had died from AIDS-related illnesses. This is a staggering amount, showing that now, more than ever, we need to up our ante to prevent this unprecedented tragedy from continuing. This is why leading with integrity in Africa is so detrimental. The kind of leaders we need are those that can roll up their sleeves and do what needs to be done for the sake of Africa’s people. 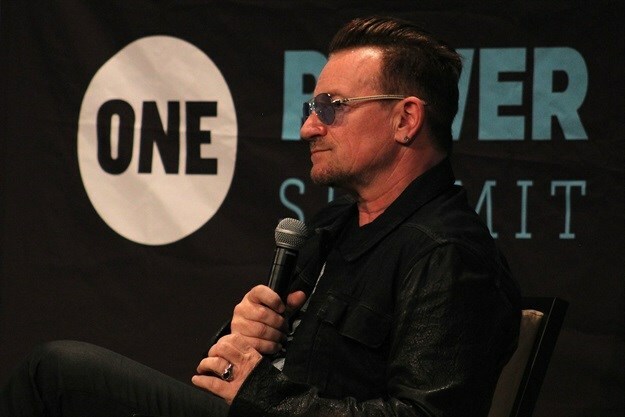 We need leaders, like Bono, who can follow in Mandela’s footsteps and serve its people. "There can be no greater gift than that of giving one's time and energy to help others without expecting anything in return." "If you want the co-operation of humans around you, you must make them feel like they are important - and you do that by being genuine and humble." "It is so easy to break down and destroy. The heroes are those who make peace and build. " "A real leader uses every issue, no matter how serious and sensitive, to ensure that at the end of the debate we should emerge stronger and more united than ever before." "The most difficult matter is not so much to change the world as yourself."